When Megan miscarries her first pregnancy it feels like the end of everything; instead it's the start of a curious relationship between the grieving mother and an unborn child who hovers somewhere between ghost and angel. 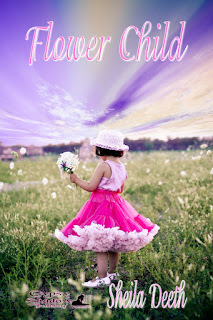 Angela, Megan's "little angel" has character and dreams all her own, friends who may or may not be real angels, and a little brother who brings hope to her mother's world. But Angela's dream-world has a secret and one day Angela might learn how to be real. 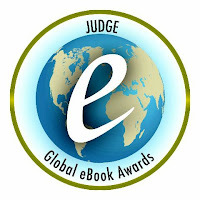 Reading (and judging) for the Dan Poynter Global eBook Awards was really a great experience, not just for the chance to read so many good books, but also for the discipline of scoring and the encouragement to think about so many different aspects of the books. I'm taking time to write and edit now and find myself viewing my own work through the same critical eye--I'm sure it's good for me--I just hope it will be good for my books too. But I am still reading, and here are links to reviews on gather for the latest group of books. Remember to drink coffee! One thing I really found myself thinking about was that willing suspension of disbelief that keeps a reader glued to the page. After all, this is fiction--well, most of the books I read were fiction anyway. We know it's not true. Why do we care? I'm delighted to have Aubrie Dionne, author of Paradise 21, visiting my blog today with this fascinating guest post about Sci-Fi's Powerhouse Couples. Check my last post for more information about Paradise 21. And I hope you'll leave a comment with your answer to Aubrie's question when you've read this. 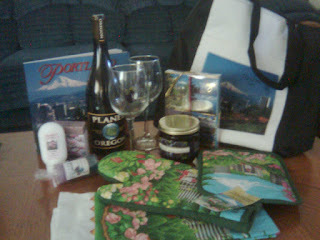 Aubrie Dionne's visiting my blog tomorrow with an interesting guest post and a question for readers. I hope you'll visit and join the conversation. Meanwhile, just to whet your appetite...here's an introduction to Aubrie's new sci-fi novel, Paradise 21. It's interesting how so many books from different genres include some romantic relationship. And now I'm trying to "judge" what I read, it's interesting to wonder what makes that romance work. We've all read about (or watched) movies where the lead actors had no "real chemistry" between them. But what makes that elusive chemistry real, and how do we write it on the page? I've been enjoying reading in the mystery section of the Dan Poynter Global eBooks Awards. You know how it goes... ordinary people thrust into extraordinary circumstances, dodging danger, solving clues and saving the world... Of course, not all mysteries involve saving the world. Sometimes it's saving a child, saving a name, saving a farm. But in other books the stakes are high and it's down to someone just like you or me to stop a terrorist attack. That's where melodrama creeps in. The books I'm reading for the Dan Poynter Global eBook Awards today have got me thinking about dialog and it's effect on story--will this book score high or low in the "distracting dialog" column? And why? Attributions: He said / she said. We all know we mustn't overuse these, but how about when we under-use them, or use them unhelpfully? In a dialog scene with lots of characters, it might matter which person says what, but leaving the attribution till after he's spoken can leave the reader puzzled and needing to reread... "You silly child," said the little boy, and there was I thinking it had to be his mother speaking. I'm really enjoying reading the entries for Dan Poynter's Global eBook Awards. Judging is a little harder--like I've said before, I really don't like ratings. Luckily the process is simplified with a table of factors to consider. Each item is scored on a scale of 1-10, with space for comments too. And everything starts at 10, so it's quite simple to knock points off whenever I feel a complaint coming on. The scores are summed and a nice little comment reminds us if we gave 10/10 for everything this must surely be the best book ever, so score carefully. The result is then multiplied by 7 (?) with the reminder to recheck if the result's over 1,000. So far I've scored two books at over 900. Now I just need to decide if I should submit them as finalists. But I haven't read everything in a category yet, so I'll see what else I find.